What: Telopea Park, Parliament House, War Memorial Last Post Service, Lake Burley Griffin, Autumn leaves, Captain Cook Memorial Jet, National Carillon and Aspen Island, National Library, Telstra Tower, Shine Dome. Wildlife spotting: Sulphur Crested Cockatoo, Black Swan, Australasian Darter, Australian Magpie, Magpie Lark, Eastern Rosella Parrot, Galah Cockatoo, Red Rumped Parrot. Mishaps or illnesses: Any road trip in Australia brings you face to face with the horrifying sight of dead kangaroos and wombats slumped by the roadside. This trip away wasno exception. "I have planned a city that is not like any other in the world." Located in the north of the Australian Capital Territory, a tiny slab of land by Australian standards and the smallest state or territory by far, the ACT is fully enclaved inside the state of New South Wales. It is also the only Australian state or territory without its own slice of coastline. It is fully land-locked and so one thing's for sure: they'll be no surfing in the ACT. The fact is that Canberra is a very curious capital city known for its war memorials, politicians and seemingly infinite number of roundabouts and certainly not for its nightlife and counter culture. To say Canberra is sleepy is an understatement. Of course, this is no bad thing if you are looking for an escape from Australia's often frantic and frenetic state capitals. Home to Australia's political elite during the week, Canberra effectively empties at the weekend meaning you'll get the streets and roads almost entirely to yourself. Indeed, a saunter around Canberra's city centre on a Sunday morning was positively ghostly aside from a friendly Canberran who took the time to help us find a coffee shop: "You guys look like you need a coffee...you won't find one open here." 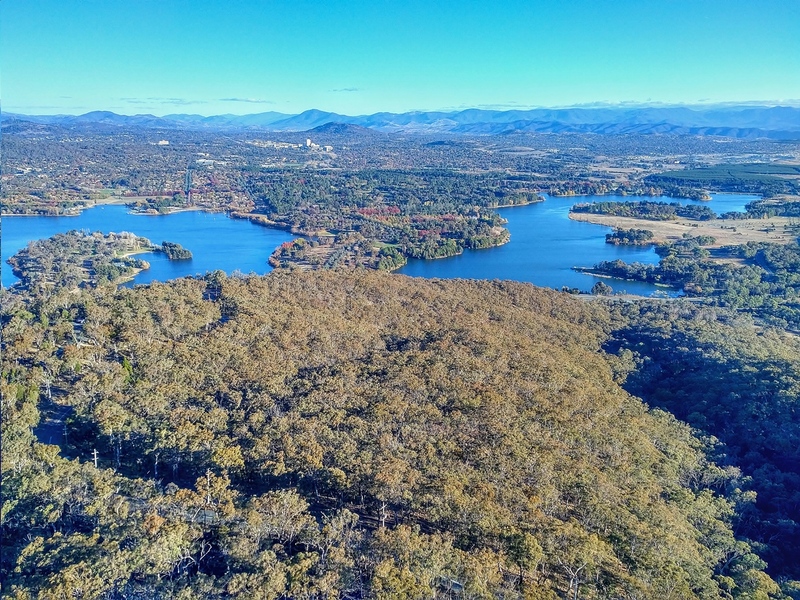 Central to Canberra's 'problem' is the fact that it was designed from scratch by Walter Burley Griffin, an American architect whose name lives on in the city's Lake Burley Griffin. Griffin won a competition to design the national capital with building starting in 1911. Canberra is a planned city and, in this sense, feels artificial and sterile. Its roads and roundabouts radiate outwards like the spokes of a bicycle wheel with Parliament House at its spinning centre. Important civic buildings and monuments are deliberately set at the foot of dominant natural features, with the National War Memorial pitched against Black Mountain and Parliament House built into Capital Hill. Canberra's geometry, albeit tempered a little by curvy lakes and rivers, makes you feel like you're trapped inside a mathematical nightmare or a 'Spirograph' drawing. Its wide tree-lined boulevards feel more Soviet than Australian. The old GPO Tower, perched high up on Black Mountain and now called the Telstra Tower, looks like something straight out of the USSR. Am I in Australia or Azerbaijan? Canberra's abstract public art, often strategically-placed at the corners of streets to add visual interest, feels contrived and meaningless. Its street furniture, including seating, lighting and water fountains, look space-age and thus they alienate. In places Canberra feels like a faded sci-fi city, a social experiment in architecture gone wrong. For Canberra read England's Milton Keynes or Scotland's Cumbernauld. Ironically, Canberra feels un-Australian. The fact is that, spiritually speaking at least, planned cities often do not work; they lack personality and authenticity. True cities happen, they grow organically driven by people, not by politicians. Of course, if you're an enthusiast of modernism and civic planning then wandering around Canberra is all rather fascinating; you can sense the rationale and reasoning behind what you're seeing and where you're seeing it. Indeed, traversing the streets of Canberra is simultaneously a journey through the mind of a modernist architect. For this reason alone Canberra is an interesting place - intellectually at least. Griffin was also inspired by the Green City movement, one which sought to symbiotically knit the cityscape with green open spaces, trees and plants. The greening of Canberra is the same which has so successfully taken root (pun intended) and transformed the appearance of Singapore. Because of this vision, Canberra is especially pretty in winter time. The sharp right angles and painful edges of its white modernist carbuncles are juxtaposed with the reds, oranges and yellows of its carefully-positioned trees (even the trees appear to have been planted according to some mathematical or symmetrical equation). 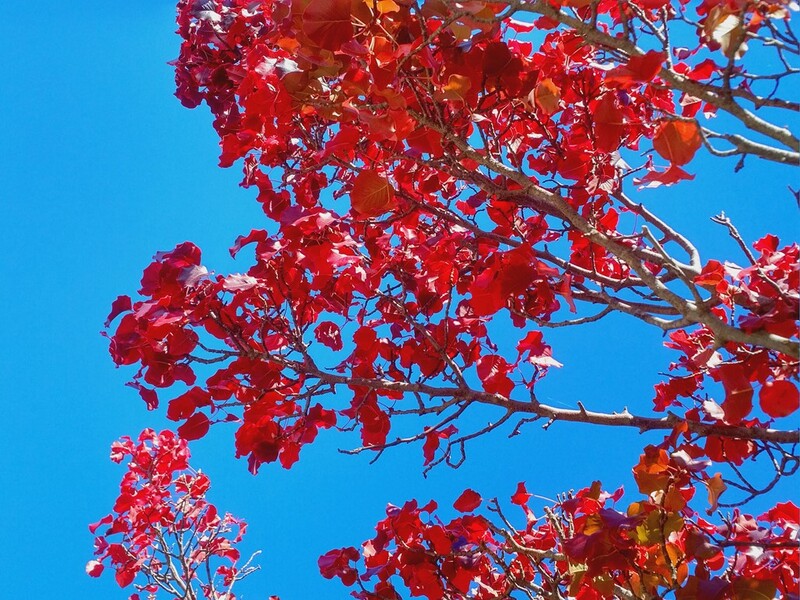 Whilst they cut a photogenically satisfying sight, the deep reds of the Manchurian Pear trees lining the bank of Lake Burley Griffin are just a little too mathematically precise. This abundance of native trees in Canberra perhaps goes a little way to explaining the prevalence of Australian bird life raucously zooming overhead or crunching its way through dropped acorns and seeds on the ground. Despite its man-made origins, Canberra is an incredible place for spotting some of Australia's most beautiful birds. In my short time in the capital I managed to photograph the Sulphur Crested Cockatoo, the Black Swan, an Australasian Darter, the Magpie Lark, the rainbow-coloured Eastern Rosella Parrot, the pink-chested Galah Cockatoo and the wonderful Australian Magpie, which took to serenading us with its quintessentially Aussie sound as we sipped coffee on our final day (I'm no 'twitcher' but it is worth bearing in mind that I herald from a country where the most impressive bird I could ever expect to see during any given day was a leaden grey pigeon limping on, more often than not, a mangled leg stump and pecking at a discarded cone of chips). To see such colourful and varied bird life - without even expecting to - was all rather memorable. In Canberra the birds come to you. If the colourful and characterful birds are its personality, then Lake Burley Griffin must be Canberra's heart; its placid waters, uncluttered waterfront and Geneva-style fountain which rockets high up into the air creating its own half rainbow, is very much this land-locked territory's coastal substitute. The only notable landmark on the lake's skyline is the National Carillon bell tower, a gift from the UK to celebrate Canberra's fiftieth year, whose white shards reflect in the lake's glassy waters and whose chiming on the quarter hour adds auditory interest to this most tranquil of capital cities. Ultimately, Canberra is a place comprised of disparate and contradictory ingredients, with even its nick-name of the 'Bush Capital' seeming to allude to its antithetical, even paradoxical, personality. The Australian capital hovers somewhere between faded Sci-Fi city and the Hanging Gardens of Babylon. A wander around it stirred memories of past places so divergent in nature that I struggled to categorise Canberra succinctly. The fact is Canberra actively defies categorisation - and perhaps this is its biggest landmark. As Griffin himself was to assert, Canberra "is a city that is not like any other in the world". I think he was right. This photo captures the reason why Canberra is known as the 'Bush Capital'. Seen here from the Telstra Tower. A wonderful Australian Magpie sits on a eucalyptus branch overlooking Canberra from high up on Black Mountain. The Telstra Tower looms over the Australian capital. Very USSR. A white Sulphur-crested Cockatoo amid a sea of autumn leaves in Telopea Park. A UFO in the middle of the bush. 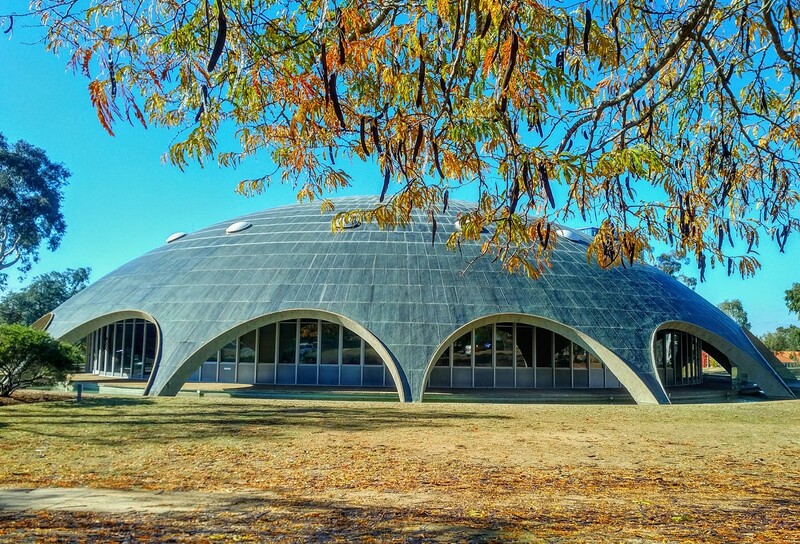 The wonderful Shine Dome, part of the Australian Academy of Science. Canberra is positively Hitchcockian owing to its bird population (clockwise): Eastern Rosella Parrot, Magpie Lark, Australian Black Swan, Galah Cockatoo, Australian Magpie, Sulphur Crested Cockatoo, Red Rumped Parrot and an Australasian Darter. 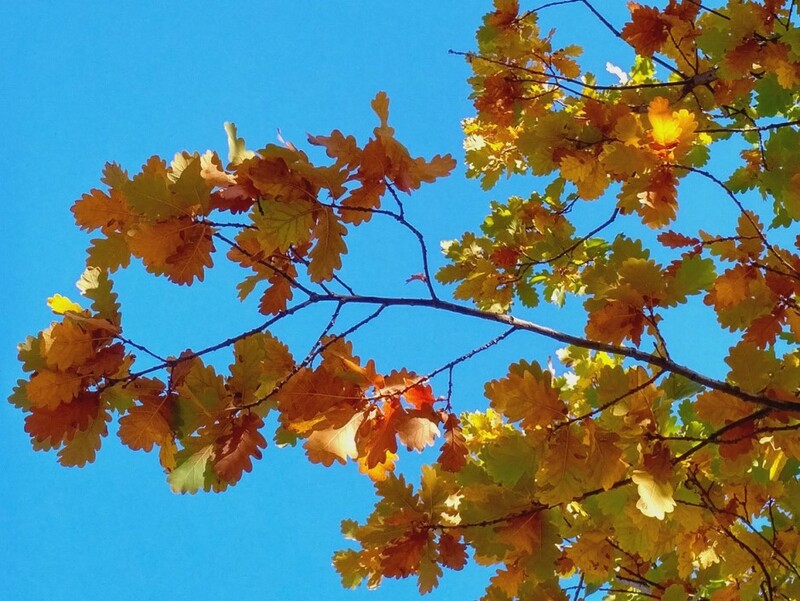 Canberra takes on a whole new life in winter as trees turn to reds, oranges and yellows. It's a particularly nice time to visit. Canberra is a veritable twitcher's paradise with some of Australia's most iconic birds in absolute abundance. Your zoom lens will truly come into its own in the 'Bush capital'. The best place to go kangaroo-spotting are the fields around Government House at Yarralumla. However, you'll have to make the effort to get up early. Sleep in and you'll miss them (just as I did). If you are a devotee of modernist architecture it is well worth you researching locations and addresses of Canberra's masterpieces. There are several examples to be found outside of Canberra's immediate centre and without planning you're likely to miss them. Regrettably we missed a number of pieces which I would loved to have photographed. 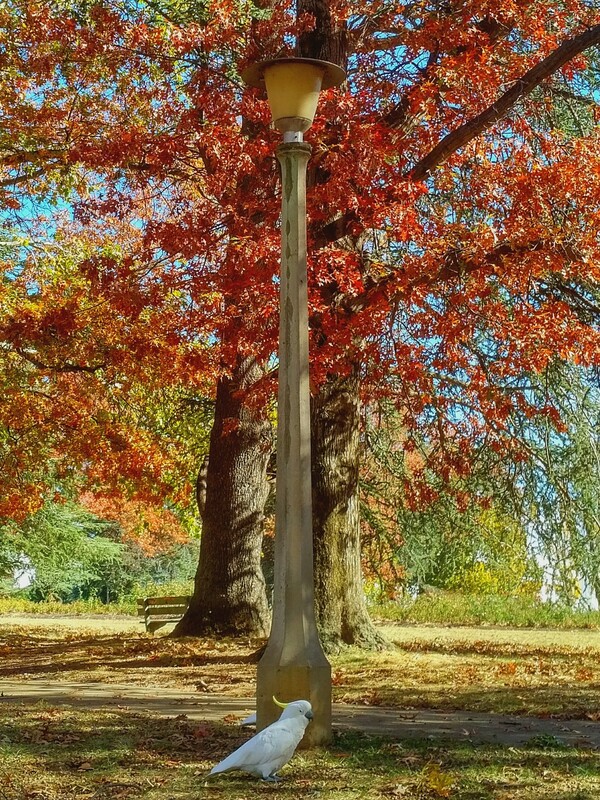 If you're into Canberra's autumn trees, check out 'Canberra Autumn', a wonderfully vintage guide of the city's trees produced by the ACT's City Parks department.